An average estimate for the timeframe of a case from accident to settlement is anywhere from 3 to 6 months. This is assuming a month or two for treatment. This is further assuming a month or two for the attorney to get everything together, have the insurance company evaluate it, and negotiate a settlement. A typical case that runs smoothly would probably take around 3 or 4 months. 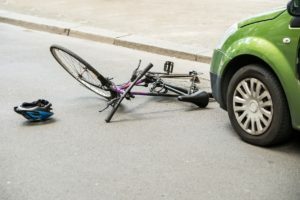 Do Bicycle Accident Cases Take Longer Than Regular Motor Vehicle Accidents? The cases take about the same amount of time. 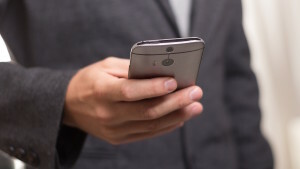 The only caveat is that depending on the injury, the attorney would not want to resolve the case until the client had made a full recovery from the injuries. Alternately, he wouldn’t want to resolve the case until they had a good idea of what their future medical care would be and what the long-term prognosis is. The injury is typically what would cause the delay in settlement. They would be waiting for completion of treatment. However, in terms of the actual settlement process, it would be similar in all situations. Would A Bicycle Accident Yield An Easy Battle Or A Difficult Battle? This would depend on the facts of the loss. If the situation happened because they were doing something wrong, like violating a vehicle code section that the insurance company has noted, then they must be ready for the long haul. They must be prepared to wait it out. In a situation in which the driver clearly made an error or a misjudgment or did not pay attention for whatever reason, then this could be resolved fairly quickly. What Factors Might Make It Difficult For Someone To Win A Bicycle Accident Case? There’s a barrier if the cyclist was at fault for the accident or if there was no insurance coverage available for the defendant. It would also be a big barrier if the cyclist did not have any uninsured motorist coverage. The biggest problem of all lies in the situation in which the person doesn’t have an avenue of recovery. Would It Make The Case Difficult If The Person Was Not Wearing A Helmet? This might make the case more difficult if the person was legally required to wear the helmet. A situation in which the person was not legally required to wear the helmet might allow the insurance company’s argument of assumption of the risk. However, there would be no comparative negligence, per se, in terms of a statutory violation. The argument would be that they could have protected themselves, and they did something risky, instead. This would go back to comparative fault. A proportion would be offset based on the experts. There may be a problem if the insurance company claimed the helmet would have prevented the injury 100 percent. However, a typical situation would be like splitting hairs. Perhaps somebody had a 50 percent disability because of a head injury, whereas he would have only had a 35 percent disability if he had been wearing their helmet. At this point, the amount of payment comes down to splitting hairs. For more information on Bicycle Injury Proceedings, a free initial consultation is your next best step. Get the information and legal answers you’re seeking.